Thank you Shout® for sponsoring this post. Have you experienced a new type of stain? Tell Shout® about it on Twitter, Instagram and Facebook. My kids love to get messy. But when we had three kids ages four and under in our home, I felt my tolerance for big messes slipping away. So as we adjusted to our new normal as a foster family of five, our older girls had to avoid their messy art projects, find mess-free alternatives, or take their messy play outside. One of the best outside activities we did while our foster son was here was to make sidewalk chalk paint. It was a cinch to throw together, entertained the kids for about an hour, and washed off the driveway/sidewalk with the rain and washed off their clothes with a little help from Shout®! 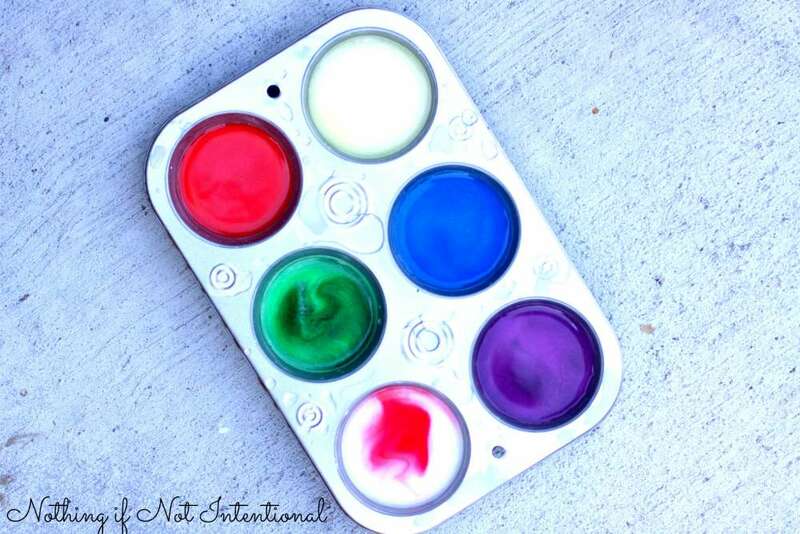 This is a classic recipe–we used this mixture several years ago on paper when my baby wanted to paint but couldn’t be counted on not to eat the paint. 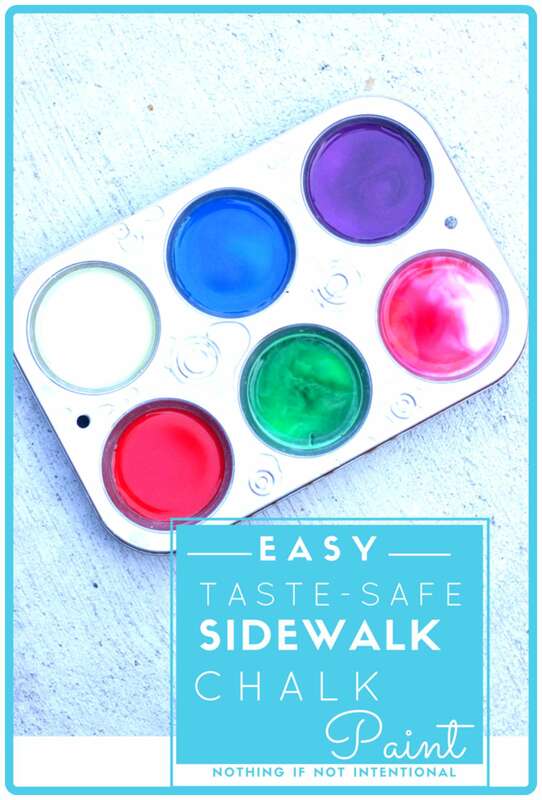 But since the cornstarch really does look like chalk when it dries, it’s great for outside on driveways, asphalt, and sidewalks! Want to make your own? 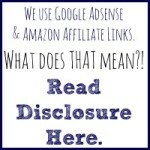 The process could not be easier. 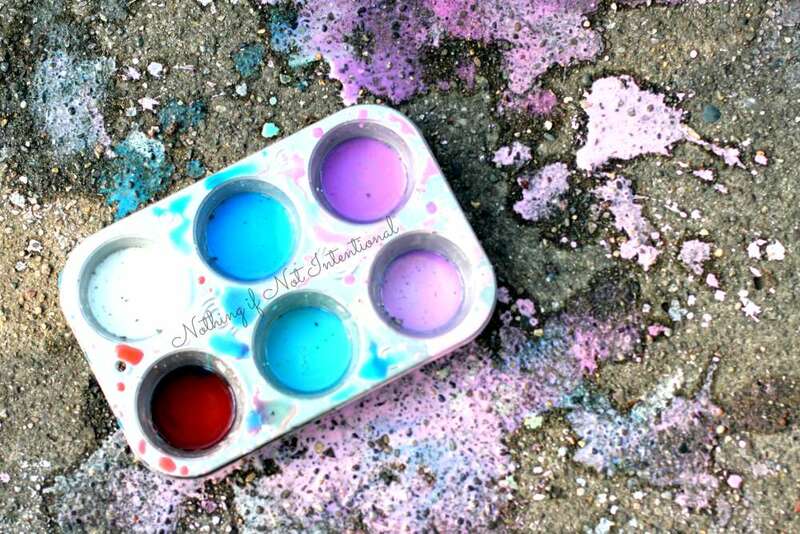 Mix together equal parts cornstarch and water and add a few drops of food coloring. That’s it! Cornstarch + water makes for a very gooey consistency, so feel free to add more water if you’d like to thin it out. For this post, I invited the girls to put on white clothes and get as messy as possible. When they were done, it was time to test out Shout® Trigger Triple-Acting Stain Remover and Shout® Advanced Gel. We followed the instructions on the bottle to treat their white outfits and let the stain removers sit overnight for these tough stains. The next morning, I washed their clothes in warm water and put them out in the sun to dry. 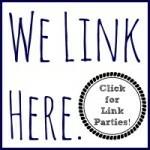 Check out the before and after pictures to see what happened! Parents have relied on Shout® to help keep clothes free of the traditional ketchup and grass stains, but today, I use Shout® to help me get rid of a new group of stains like organic baby food, sriracha sauce, kombucha, kale, and even taste-safe sidewalk chalk paint. 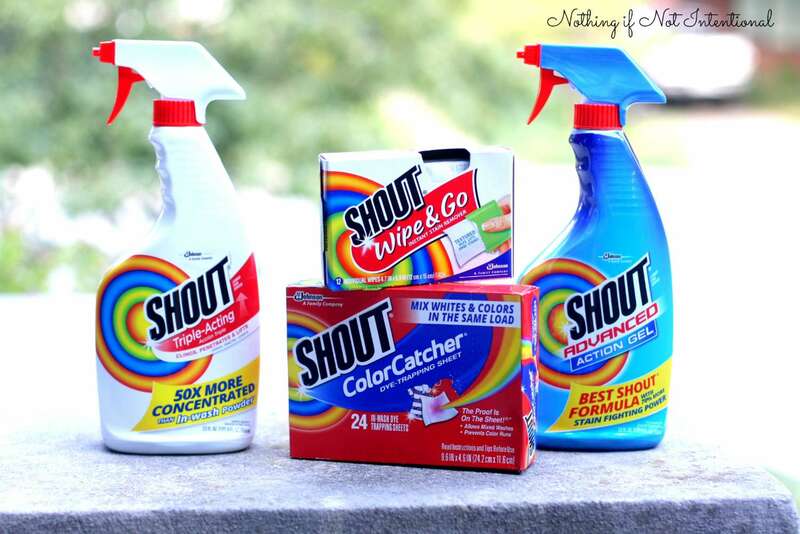 Shout® gives kids the freedom to have fun and get messy, and it gives me peace of mind knowing that stains (of all kind) will be gone with a few sprays.